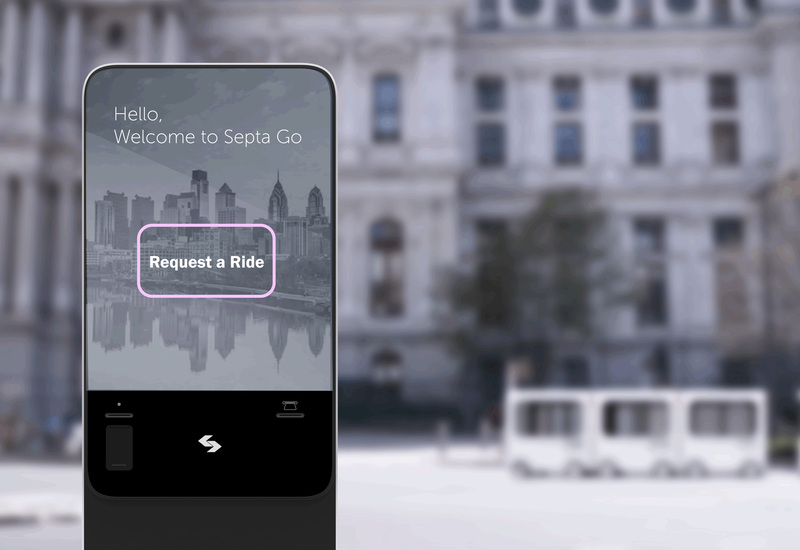 SEPTA GO is a shared mobility system for the greater Philadelphia area. 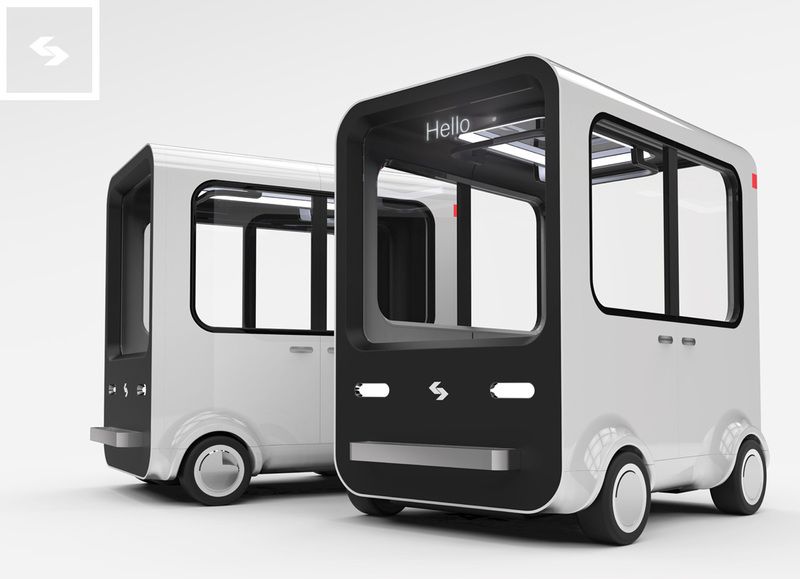 The fully electric, autonomous, and compact cars are controlled by commuters through an application on their smart phone. I’ve long wanted to tackle the redesign of our public transportation system. 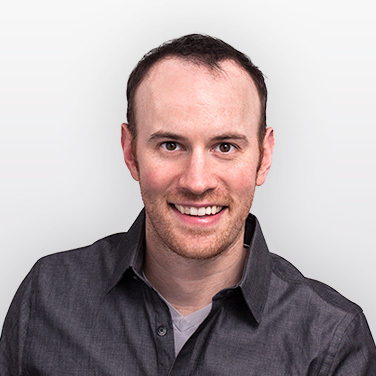 As driverless cars and car-sharing have become more widespread, I’ve realized that fully autonomous technology is an opportunity to think about cars as task-specific vehicles designed to function efficiently in specific environments such as cities. I’ve noticed that most cars in the city only have one or two people inside and are generally used to travel short distances. Urban drivers have different needs from those in the suburbs and in more rural communities, yet for the most part we all end up driving the same kinds of cars. This seems really inefficient. 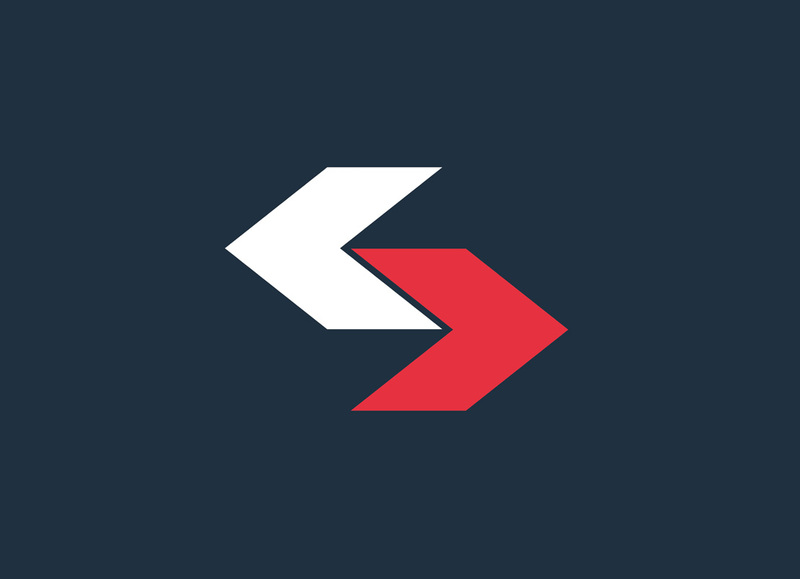 I also thought the brand was ripe for a re-design and cleaning up the SEPTA logo would be a fun project. 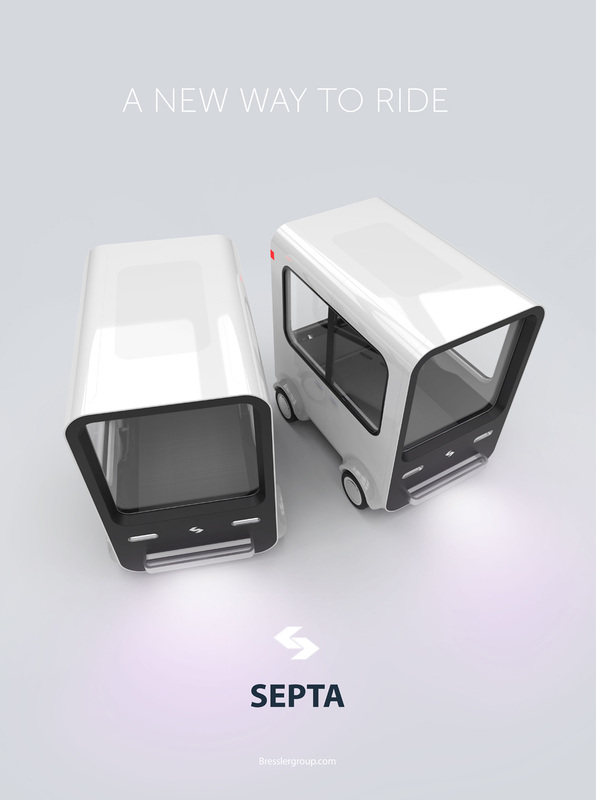 The SEPTA GO system is designed to reduce carbon emissions and ease road congestion. It would decrease parking woes, and increase accessibility for anyone who needs assistance moving throughout the city. 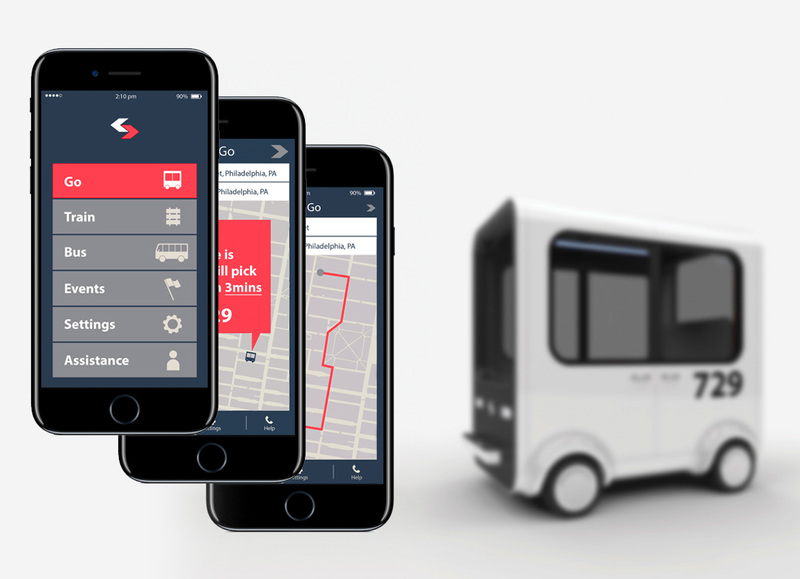 It’s an evolving concept that attempts to solve stubborn, universal urban mobility problems. My goal was to come up with space-efficient vehicles that are appropriate for one or two people and don’t consume as much energy per person as typical cars and buses. 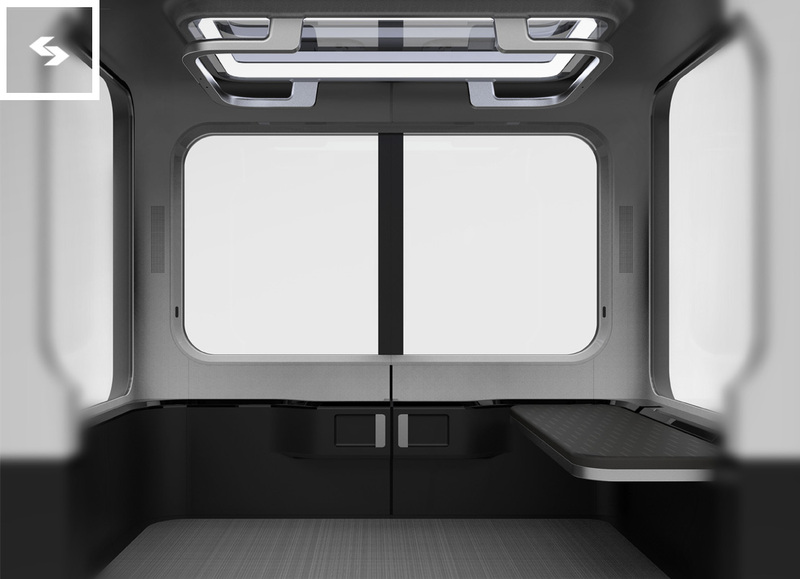 These units don’t feel too large for one person but they can easily accommodate two people sitting or four people standing — or a good number of boxes and goods, thanks to their square shape. 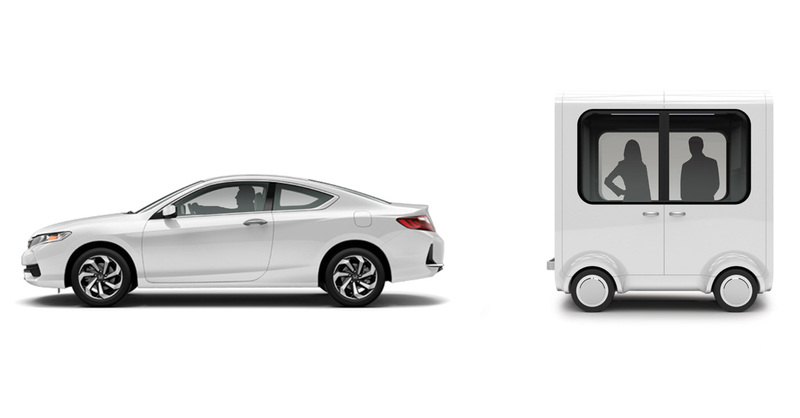 The vehicles’ form sends the message that efficiency take priority over speed. Most cars on the road are streamlined, because they need to go fast and their visual brand language needs to communicate speed, but cars in the SEPTA GO system will top out at around 35 miles per hour. As shapes go, a square is the antithesis of movement, but I tried to embrace the shape and make it look friendly and approachable. 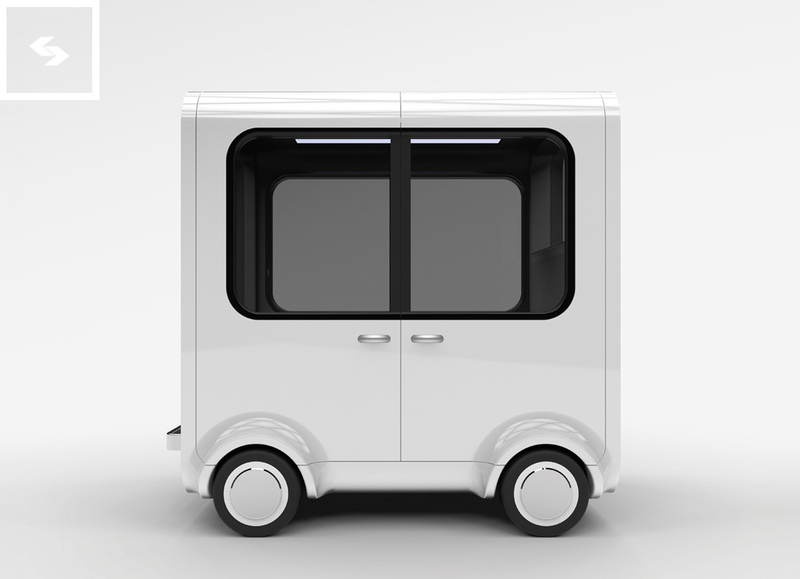 The boxy shape allows them to park nose to nose without taking up a lot of space. 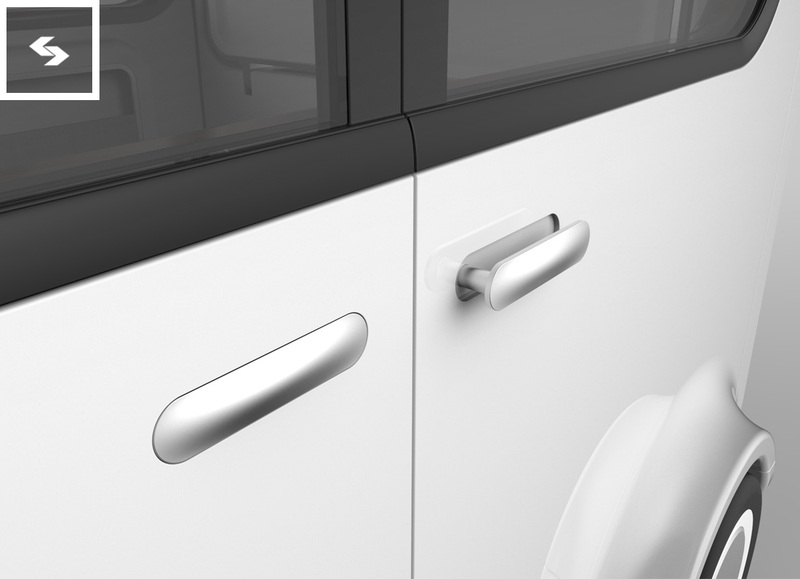 The cars have an extruded look on either end that signals their ability to connect. 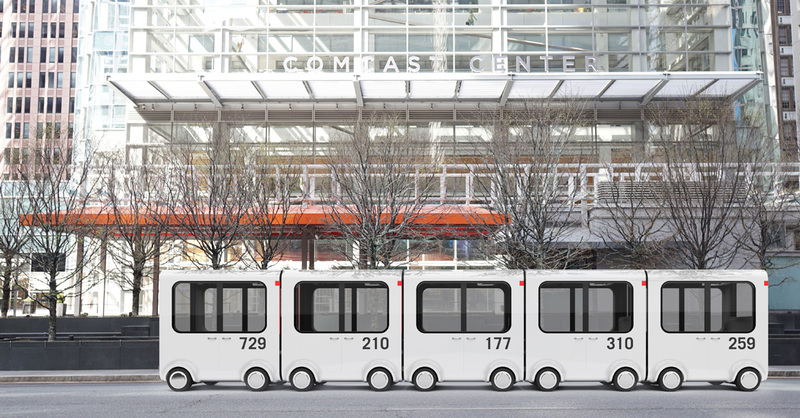 Each vehicle is meant to go everywhere SEPTA buses do — they will supplement the buses and replace cars on the road, easing traffic and congestion. 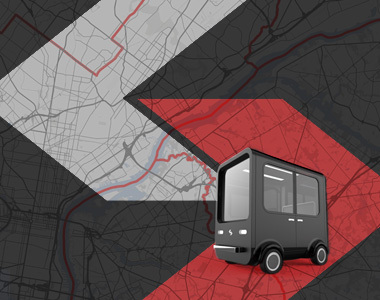 Their main function is to fulfill a need for mobility around the city for groups of one to four people — which will be especially useful for anyone who is unable to drive (young, old, disabled, those who never learned how to drive) or wants a better (cheaper, more convenient, more eco-friendly) alternative. 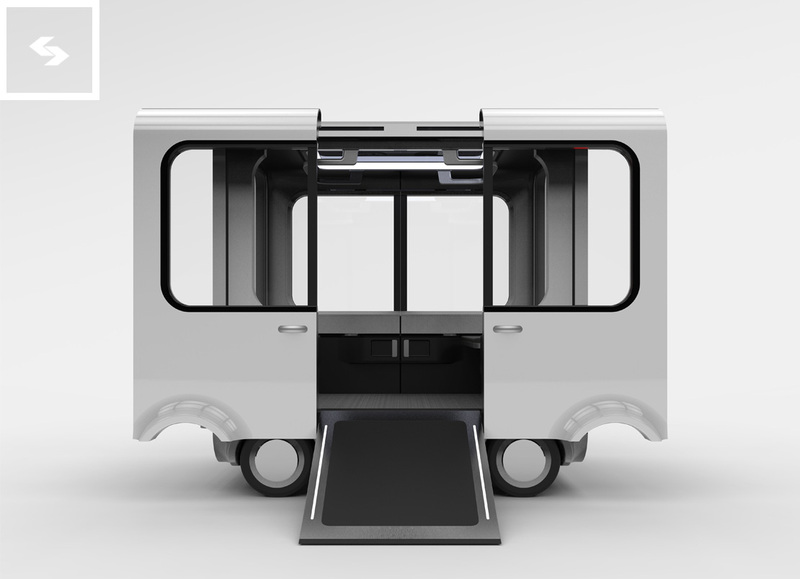 Each car has a ramp that can be activated to extend and lower for easier boarding and disembarking. 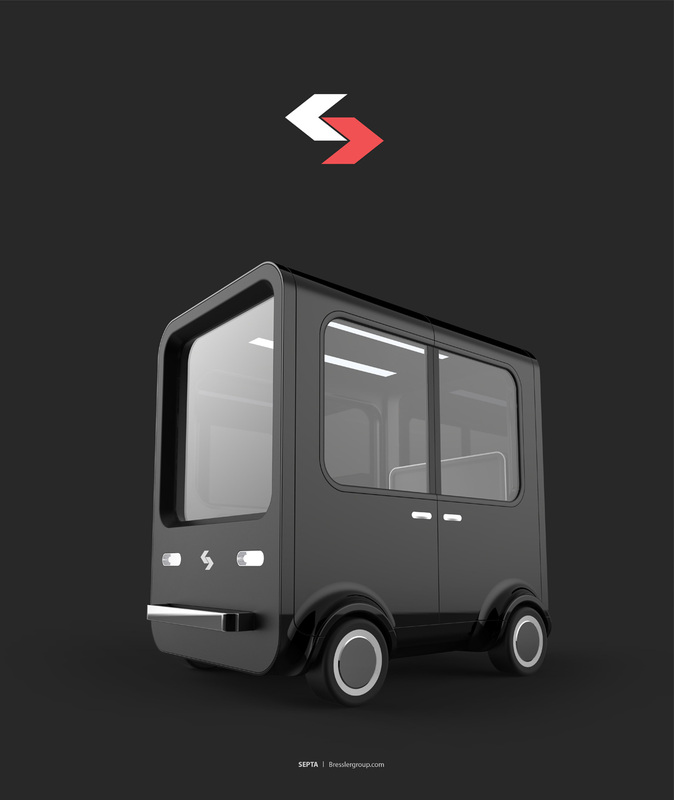 When the cars are idle, they can be harnessed to deliver packages or other goods. A pair can be hired together for a GO Party — connect two, open the windows, and drive to your destination. No matter what the task, each car will be able to determine if it has enough power to complete your trip before it sets off to pick you up. Those who don’t have smart phones or who don’t want to download the app can call a car using one of the kiosks around the city that double as charging stations. When not in use, the cars will park themselves at one of these stations. 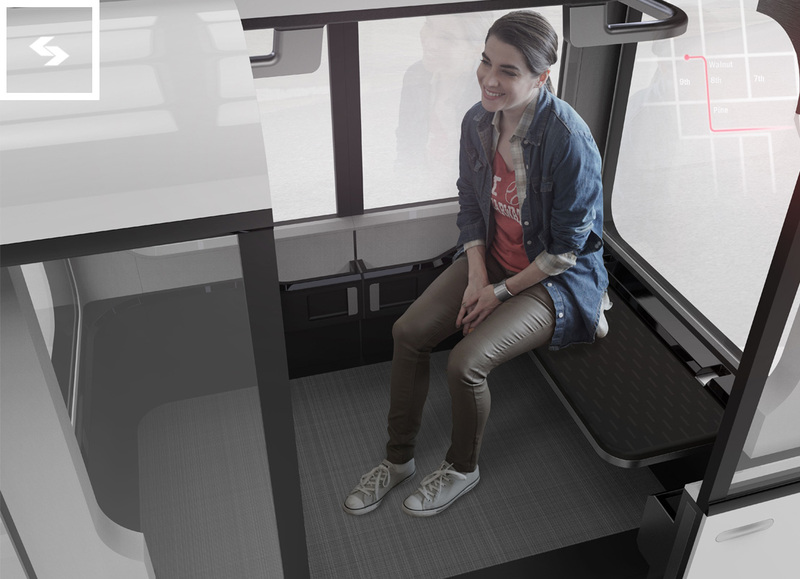 A strip on the ground at each station will charge the vehicles while they’re at rest. 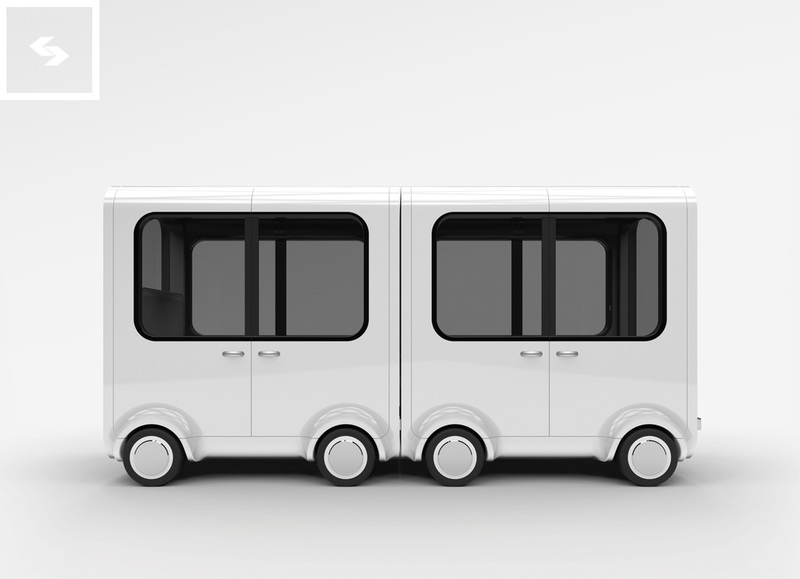 Motors housed at the front and back of each vehicle are powered by a heavy, TESLA-esque layer of lithium-ion batteries, all located in the floor. 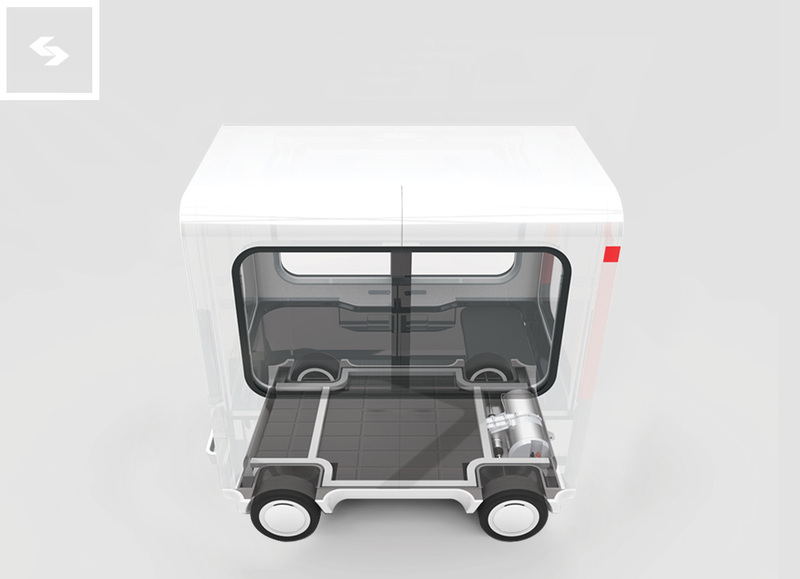 The cars’ small wheels will contain sensors that tie into road maintenance. They can report potholes back to the city — possibly on Comcast’s LoRaWAN machineQ network! — both to look out for their own bumpy rides and to keep the roads intact for others. At the end of the day, the cars will retire to their stations and charge up for another busy day ahead.